Made in Britain. Skin safe. No carcinogenic PTFE. If you care about your bike and the planet you ride on, you're in the right place. We've been fighting PTFE and petrochemical pollution since 2007. We've been raising awareness of the harm petrochemicals and PTFE can do in a workshop environment, in your garage, and to the rivers and seas we all enjoy. 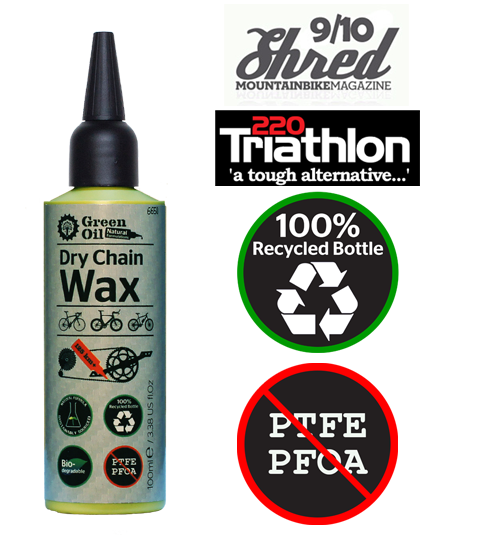 From using recycled (not just recyclable) plastic in our bottles to plant based fully biodegradable formulas, we're protecting you, your bike, and the planet we share. The Green Oil range works. We've won awards. Developed by Cyclists, for Cyclists. 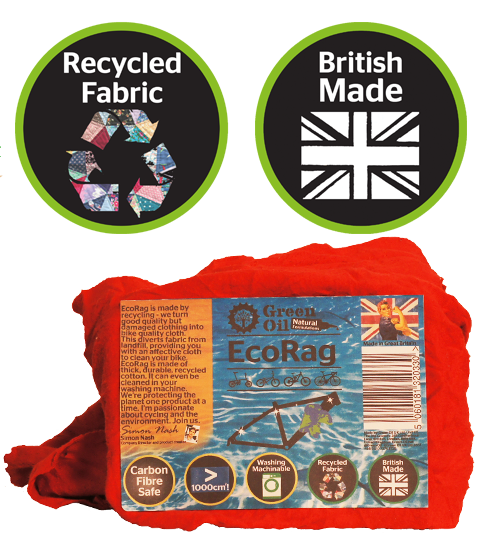 - PTFE free and fully biodegradable. - Has water pistol mode! 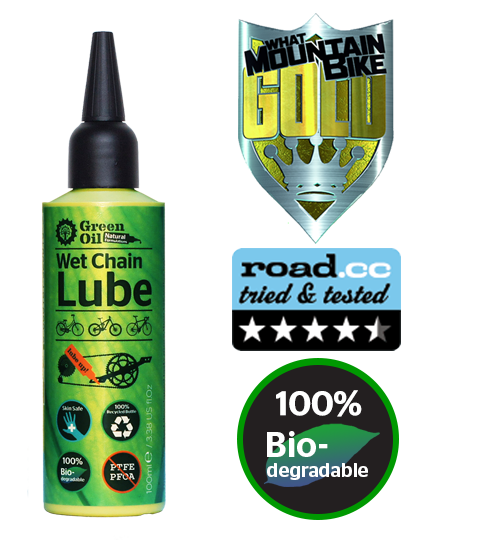 - Sticks to your chain, scrub it off to clean! Designed to last, not wear out fast! - Can be washed in a washing machine! Make grimy chains and cassettes look like new! - Re-usable - simply pour back into the bottle more than 3 times! - Perhaps the best cycling set you'll ever buy.